Culver Bulldog girls basketball team wants to make the state playoffs this season. 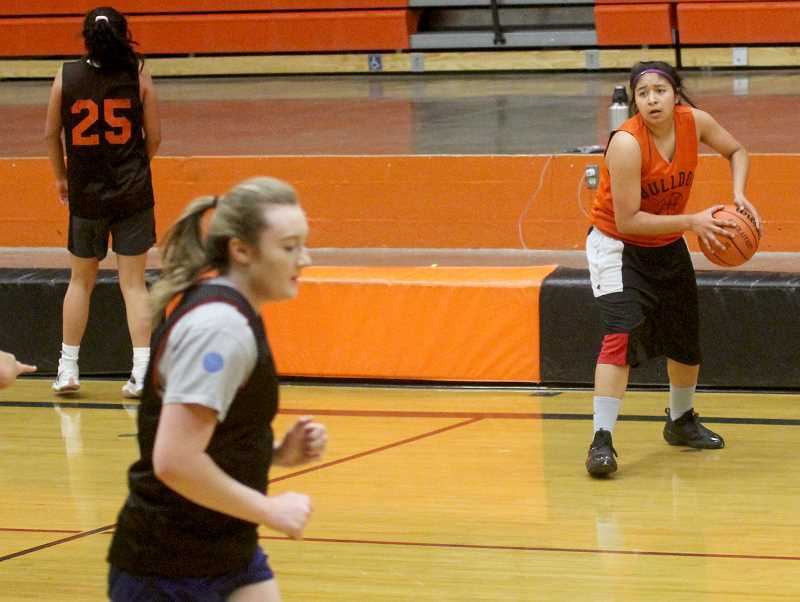 The Culver Bulldog girls basketball team is motivated more than ever to reach the postseason. The girls team missed the postseason by one game for two season in a row. Culver has had a winning season in their last three season. They finished with a 15-10 record last year. "Our goal is to give Kennedy a run for their money, and win league," said back-to-back coach of the year Scott Fritz. "They are the defending state champs and beat every team in the state by 20. They have two really good posts and are going to be tough, but they do not have our speed." The Culver girls basketball program moved to the 2A-2 Tri-River Conference with nine teams in the league. They will play Chemawa, Colton, Delphian, Gervais, Kennedy, Santiam, Sheridan, and Western Christian. "Were going in blind," Fritz said. "We haven't seen any of these teams in our league. I think half of them are 3A drop downs, so we don't really know what we are getting into. We are just going to have to play our game and see how we do against them." "Were going to have to change some stuff up," he said. "We are not going to be able to be as aggressive as we have been in the past. A lot of our game was constant pressure, but we are going to have to scale that back because we are not as deep as we have been. We can't afford any foul trouble and will pick our spots when it comes to pressing." The Bulldogs will rely on leadership from three seniors, Irma Retano, Mia Gamboa, and Mikayla Haessler. Also joining the team this year will be center Madison Miller, who will look to use her height to help Culver. "We have an aggressive zone defense and are going to pick spots with that, too," Fritz said. "We are going to try to run even more this year. Irma has been basically working on basketball since last March and if any one has scouted her, they have no idea how much she has improved. It is going to be fun." "She is going to open up a ton of scoring opportunities for her teammates," he said. "You never know what is going to happen in league. We were by far the best team in league last year and showed it when we all played together with our starters." Gamboa and Retano both earned league honors last year and are going to try to take over games with their athletic ability and defense. 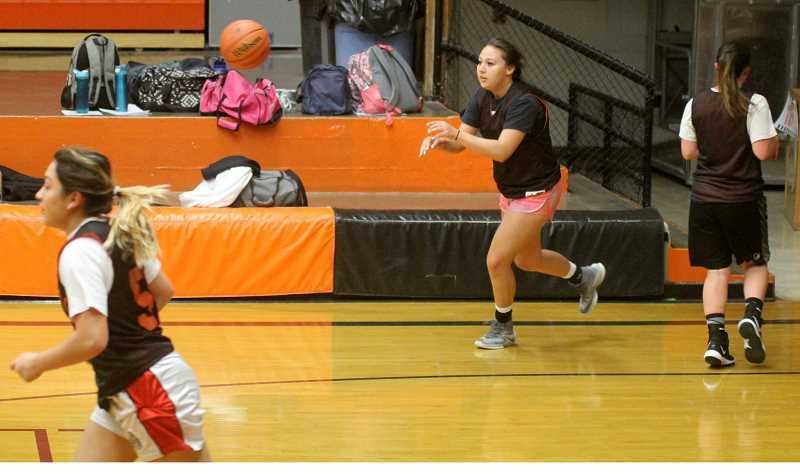 "I expect everyone to give this season 100 percent," starting point guard Mia Gamboa said. "We have a majority of seniors on the team and knowing that this is our last year to be able to go to state, we need to work as hard as we can to go to state. That is our goal, go to state." "We have a new forward in Madison Miller and she is going to help us with rebounds defense," she said. "We're going to be a run first team, getting other teams tired." "These seniors are really the ones that brought it all together," senior Makayla Haessler said. "We're still here kicking hard." "Our defense wins most of our games," Irma Retano said. "If it was not for our defense, we wouldn't be as good as a team. We have good offensive players, but our defense helps us a lot." The program has been improving every year and had their best season under Fritz last season. "When I started coaching 10 years ago, we were one of the worst teams in the league and only had 12 players for varsity and JV," Fritz said. "We have become a competitive program and we can beat anyone on any night, but we can also lose to anyone on any night." "This is a great group of girls and we have a lot of fun and we want to be competitive," he said. "I don't mind if we play hard and lose; it's those teams we should whoop that we lose to that drives me crazy. They are just that cool group that can screw up and doesn't get down, they just keep flying around, and I love that." "It's one game and we have talked about it," Fritz said. "Every year, I come up with a slogan for the season and this year it is 'one game.' We have missed state these last two season by one game. I really think we can give Kennedy a run for their money and become league champs."